After spending some days in Bangkok I was dying to go to an island. There are so many beautiful islands in Thailand that sometimes it’s really hard to decide which one to visit. From the paradisiacal to the trendy, and the overly touristy to the full on party island, Thailand certainly has a stunning piece of land surrounded by water for every preference that will make you feel fortunate to be there. It was while I was doing research to find the most beautiful island in Thailand that a friend told me about Koh Lipe. I’ve never heard of it before, and I was intrigued to find out that it’s known as the Maldives of Thailand. To get to Koh Lipe isn’t easy, and this is the reason the island is less crowded and popular compared to Phi Phi and Phuket, for example. I know it’s exhausting, but totally worth it, though! Koh Lipe is the southernmost island in Thailand, located in the Andaman sea, 60Km from the Thai mainland and only 30Km from Langkawi, Malaysia. It’s part of the Adang Archipelago, a group of more than fifty islands, and on the border of the Tarutao National Marine Park, one of the first parks created in Thailand in 1974. Once you arrive in Koh Lipe, you will easily understand why it’s called the Maldives of Thailand. The unbelievably turquoise crystalline water that is so characteristic of the Maldives, will welcome and mesmerize you. Am I arriving in Thailand or Maldives?? 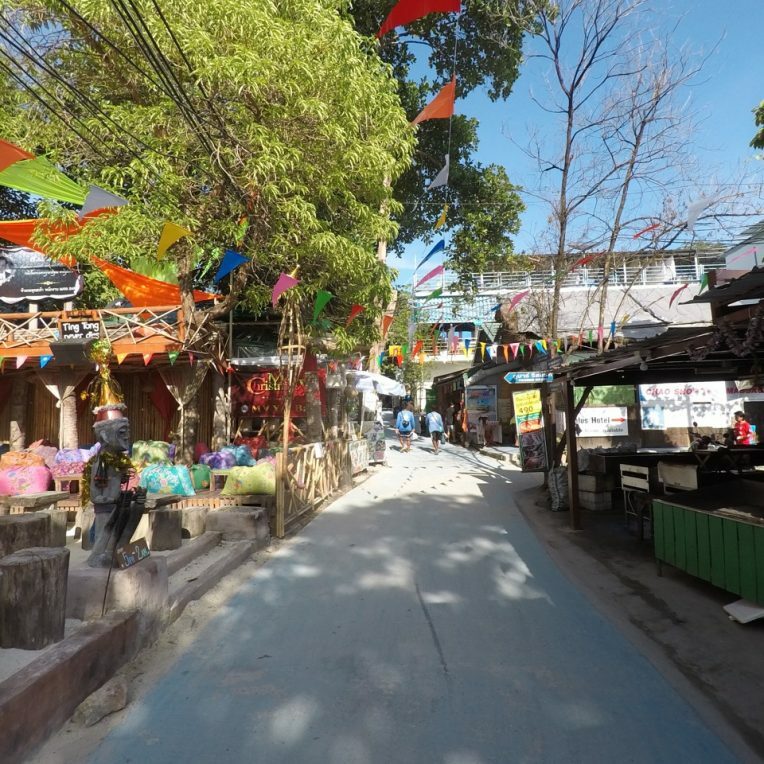 The island is covered with lush vegetation, has three beaches (Pattaya, Sunset and Sunrise), a main street called “Walking Street.” and is relatively small (2Km long and 1 km wide). To move around it is very easy and it takes no more than 15-25min to walk from one beach to another. There are hotels for all budgets, plenty of restaurants serving local cuisine, bars, ATM’s, massage places, stores and travel agencies. The nightlife is quiet and most of the bars on the “Walking Street” close around midnight. Koh Lipe has sandy beaches with crystal clear calm and warm water, which makes the island a perfect place for snorkeling. In fact, 25 percent of the world’s tropical fish species are found in the area. The three main beaches share similar characteristics but they are slightly different from each other. 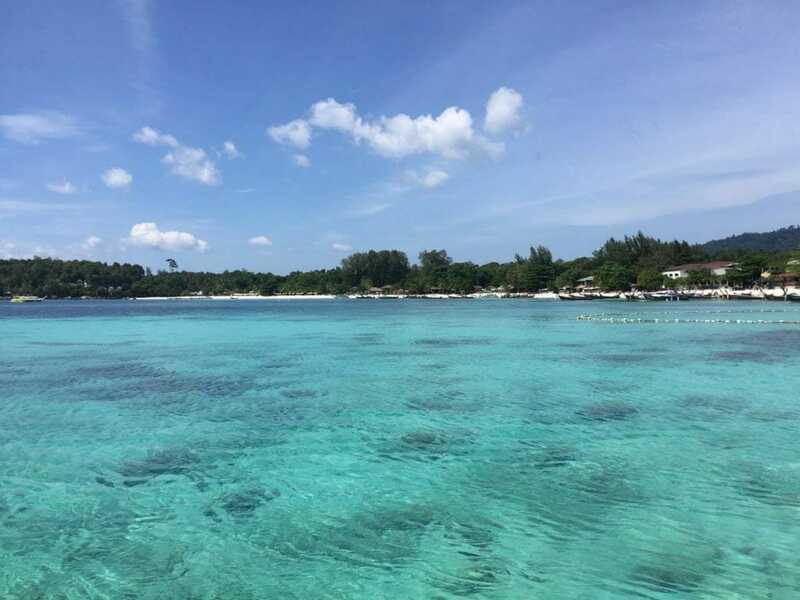 This large sheltered bay has powdery sand, really good “pools” to swim in, and is so absolutely stunning, that when you arrive there, you won’t believe it’s true. This is where the two ports are located and the ferries arrive and depart. So, because of that, the beach can be very busy, and sometimes there are even bars playing loud music. This beach extends along the Eastern side of the island and has a pleasant breeze during the whole day. 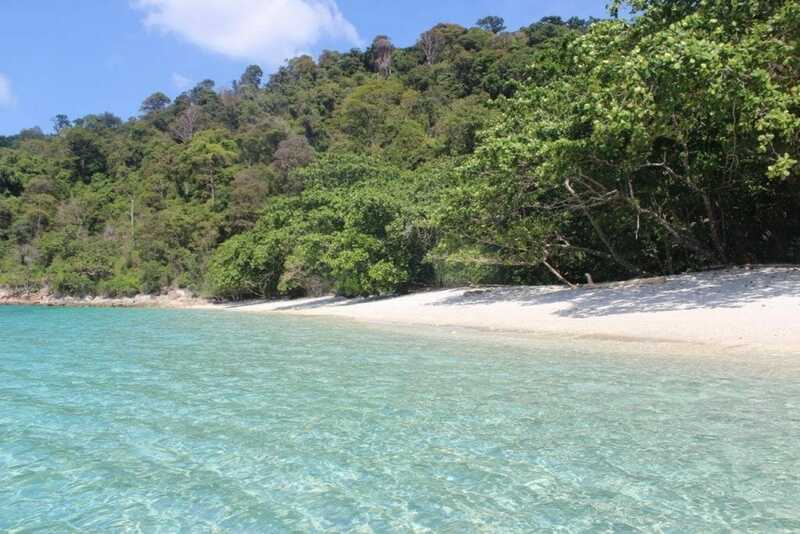 It is my favorite beach in Koh Lipe and the best one for snorkeling and water sports. It changes completely during high and low tides, with “rough” water and wind at high tide; and calm, shallow and transparent water at low tide. As the name suggests, this is where the sun rises and waking up early in the morning to see it is totally worthwhile. However, towards the end of the afternoon the atmosphere gets so relaxing and laid-back that lying down on the sand and grabbing a drink will make you feel blessed. Some of the best hotels, resorts and beach bars are located here, and it is also the best spot for pictures. Sunrise Beach and its white sand. Sunrise Beach at low tide. This small bay on the west side of the island has some rocks, calm water, and is relatively undeveloped compared to the other two. There are tranquil and low-key bars and restaurants, and also a camping area, which gives it a hippie-style atmosphere. This is the perfect place to watch the sunset. However, I didn’t spend too much time on Sunset Beach because it is the one that I liked least in Koh Lipe. – Grabbing a drink in one of the beach bars and restaurants. – Eating plenty of delicious and fresh Thai food. 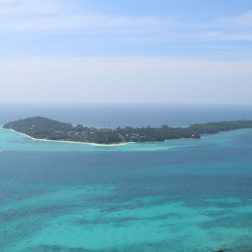 – Climbing Koh Adang (the island in front of Koh Lipe) to get a birdseye view of the Maldives of Thailand. – Going to a waterfall in Koh Adang. 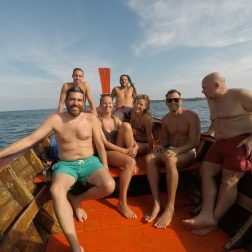 – Snorkeling: whether on Sunrise beach close to two tiny islands, on Pattaya and Sunset beaches, or on a boat trip to some of the other islands nearby. – Kayaking: some of the hotels provide free kayaks and snorkel masks for its guests. 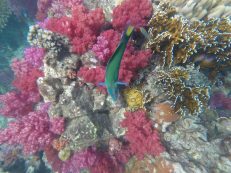 – Diving: Koh Lipe has some of the best dive sites in Thailand. – Taking a boat trip to explore the other islands that are part of the archipelago. While in Koh Lipe you should not miss the opportunity to do an island hop. You will visit some stunning islands with different formations and characteristics, incredible places for snorkeling, and if you’re lucky enough, you can have your own private beach. 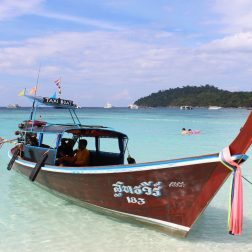 All boat operators provide the same four basic island hop programs from Koh Lipe, with programs A and B the most popular ones. Program A: from 9:30 AM to 4:00 PM, visiting Jabang, Koh Hin Ngam, Koh Rawi, Koh Adang and Koh Yang. 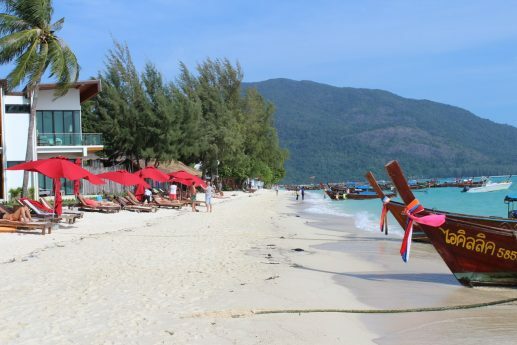 These islands are closer to Koh Lipe and the tour costs 550 baht per person. Program B: from 9:30 AM to 4:00 PM, visiting Koh Hin Sorn, Koh Lugoi, Koh Dong, Koh Pung, Koh Bulu, Koh Ngam and Jabang. These are futher away from Koh Lipe and the tour costs 650 baht per person. Sunset Trip: from 2:30 PM to 6:30 PM, visiting Jabang, Koh Hin Ngam, Koh Yang and Koh Dang to see the sunset from the ocean. 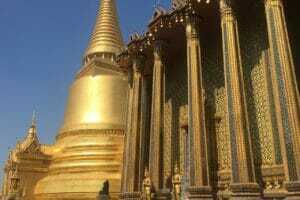 Price: 450 baht per person. Plankton Trip: from 1:30 AM to 8:00 PM, visiting Jabang, Hin Ngam, Yang and Adang Beach to see the luminescent plankton at night. Price: 800 baht per person. Prices are very similar at all the boat operators but a good tip is to negotiate with one of the long boat operators and do a private hire, with some friends if you can find them. I did that and we ended up paying half of what it would’ve cost us. It also means you can decide the length and timing of the various parts of the trip. I only took the program B tour and it was the best thing I did during my stay in Koh Lipe. The islands are spectacular and it’s going to be hard to decide which one you like most. Quick tip: Don’t forget to take a waterproof camera when you go on those tours. The Good Gears has some really nice ones. 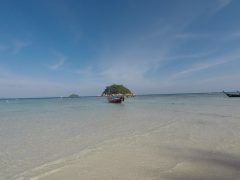 Koh Rokroy, one of the most beautiful islands visited during the tour. 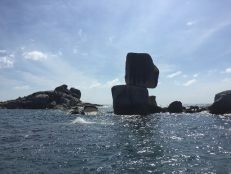 Koh Hin Sorn has such an interesting rock formation. 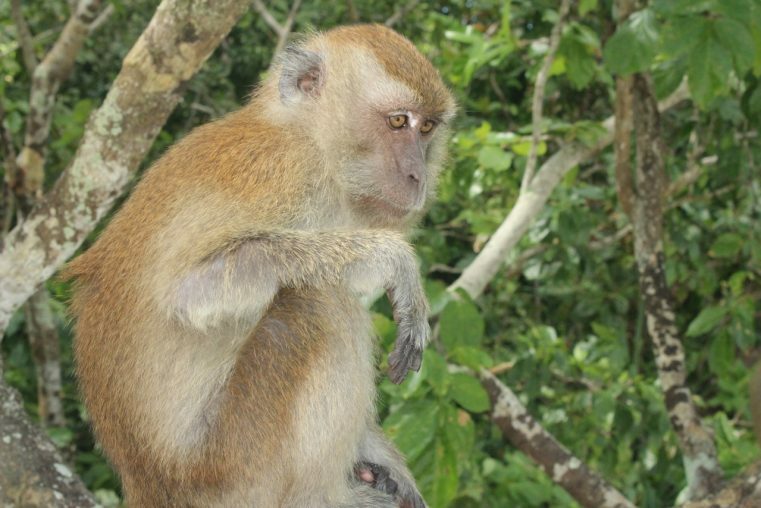 Plenty of monkeys in Koh Dong islands. 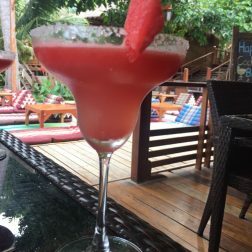 If you’re planning to visit Koh Lipe and want to the get the most out of it, here is an itinerary for one day in the island. It will be a packed day and I hope you will have the energy to keep up with me! – Wake up at 6:00 AM to see the sunrise. 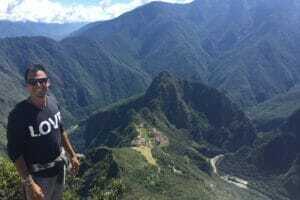 – Rent a long tail boat and do program B. – Beat the crowd by asking your captain to depart before all the other tours. 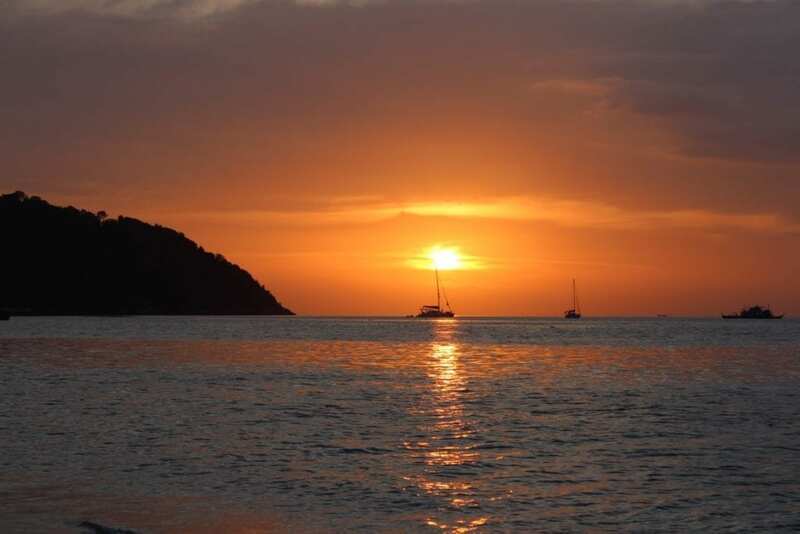 – Take advantage of having your own boat and stay longer at the islands you like most. – Come back from the tour around 5:00 PM, grab a drink and relax at Sea la Vie Bar located on Sunrise Beach. 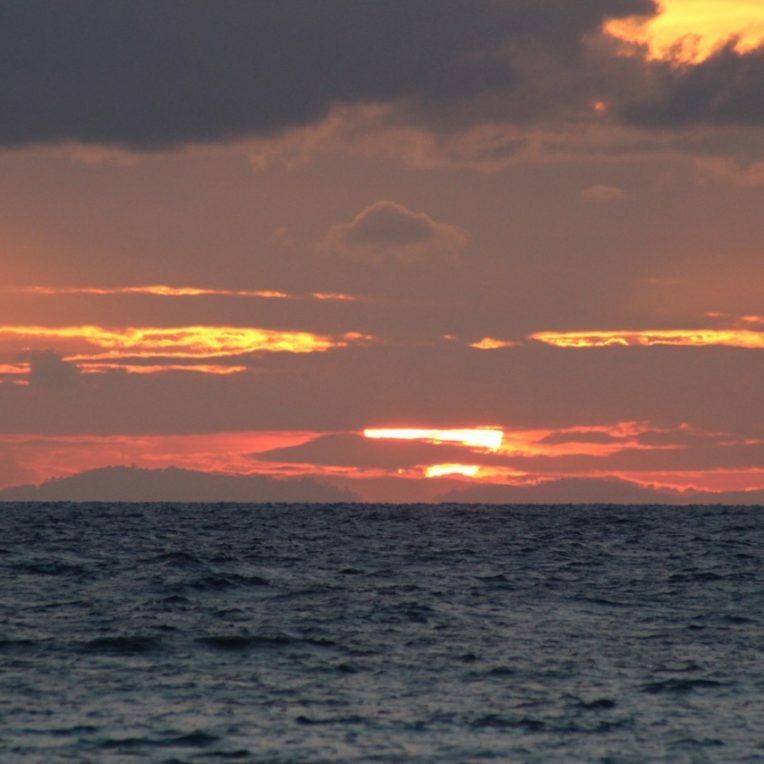 – Around 5:30 PM head to Sunset Beach for the sunset. 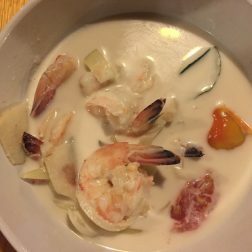 – Dine at Papaya Mom or Nee Papaya (the coconut milk soup is outrageous) near the centre of the Walking Street. – Finish your night in Maya Bar, the coolest bar in Koh Lipe, situated right at the centre of the Walking Street. 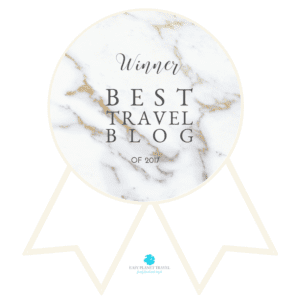 – Go to bed and rest because this itinerary is just for one day, and I expect you will want to spend much more time on the island. All the people that I gathered to rent a private boat. 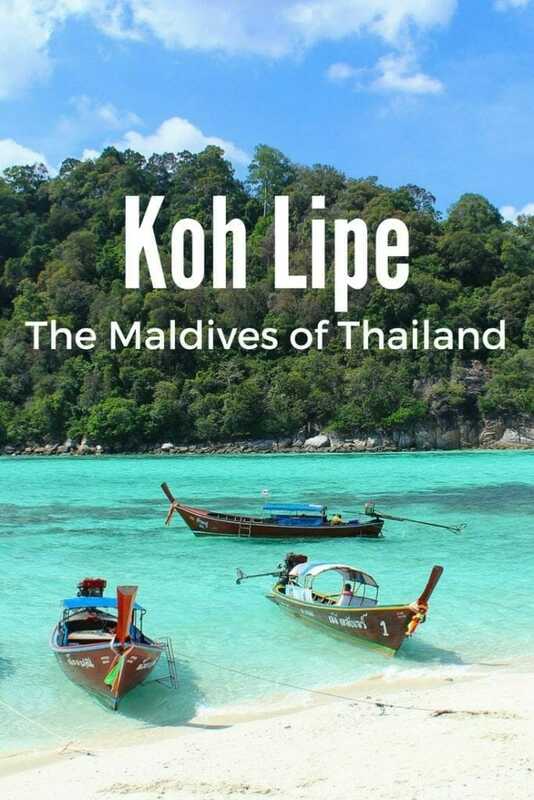 Koh Lipe is a small island in the Adang-Rawi Archipelago of the Strait of Malacca, in Satun Province of southwest Thailand, close to the Malaysian border. (Check the map here). 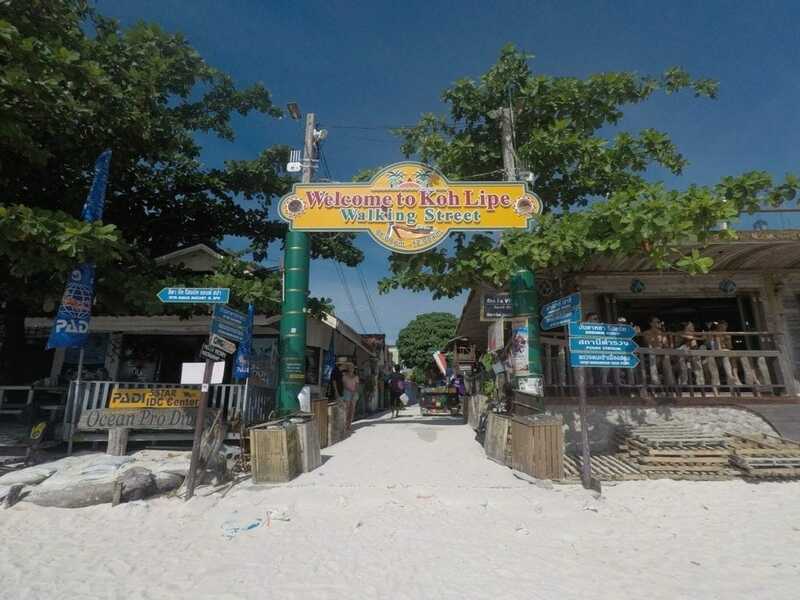 How to get to Lipe Island? ∗ Flying to Hat Yai, then take a van or taxi to Pak Bara, and from there take the ferry to Koh Lipe. ∗ You can take a ferry from other islands, such as: Koh Lanta, Koh Phi Phi, and Langkawi. * You can also take the train from Bangkok to Pak Bara, but it’s a very long journey. AirAsia and Nok Air offer a package with flight, van and ferry, that I think is the best option. 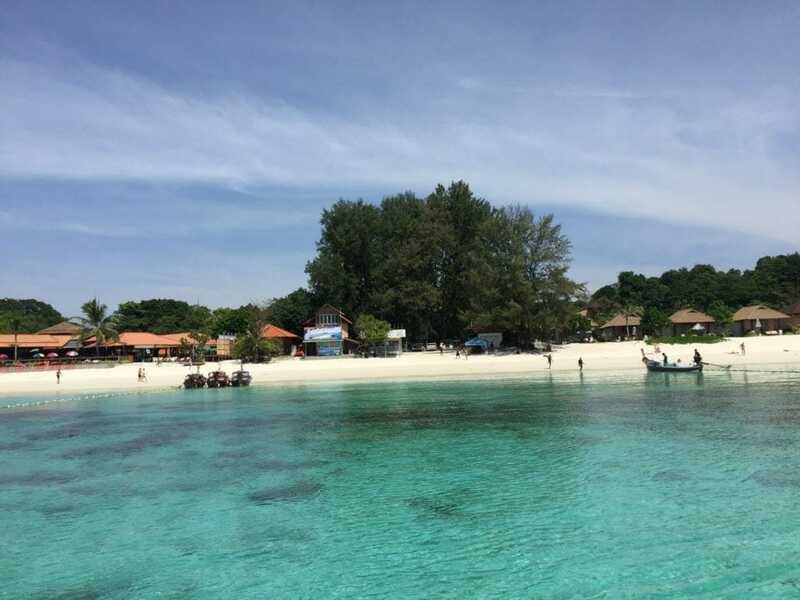 Best Time to go to Koh Lipe? 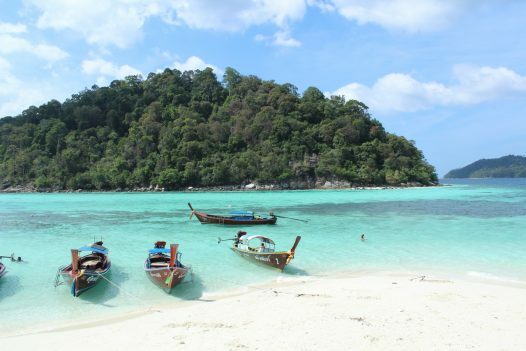 The best time to visit Koh Lipe is from November to February, when the sun shines everyday. March to April is the hottest time, and from April to October is the rainy season. Luxury: Idyllic Concept Resort, Mali Resort Sunrise Beach, Castaway Resort and Bundhaya Villas. 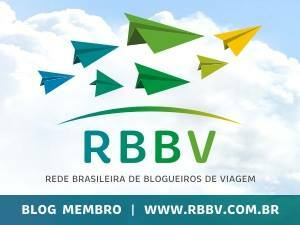 Great Valeu for Money: Cabana Lipe Beach Resort, Salisa Resort, Anda Resort, Ricci House and San Pita Resort. Budget: The Reef, Lipe Village and Lipe Inn. This post was turned into an app and you can get it here. Great article ! Great ideas ! PS. My blog will air soon. Wish me luck 🙂! I would say that 4 days is the minimum. Because the island is so far and hard to get there that it’s better to stay at least 4 days. Plus considering the fact that you’ll lose the first and last days because of the ferry’s arrival/departure time. Yes, and I do wish you good luck with your blog. It’s a lot of work my friends. Thx so much once again and all the best Rim. Great article! We just got back from the island after basically following your article to a T! It made live so much easier for us and I’m extremely happy that I came across it! I’m very glad to hear that Eugenie. That’s wonderful!! So nice from your part leaving a comment here. I appreciate that. Realmente a ilhas da Tailândia são um paraíso, visitei algumas delas, mas quero voltar para ir a outra como essa.